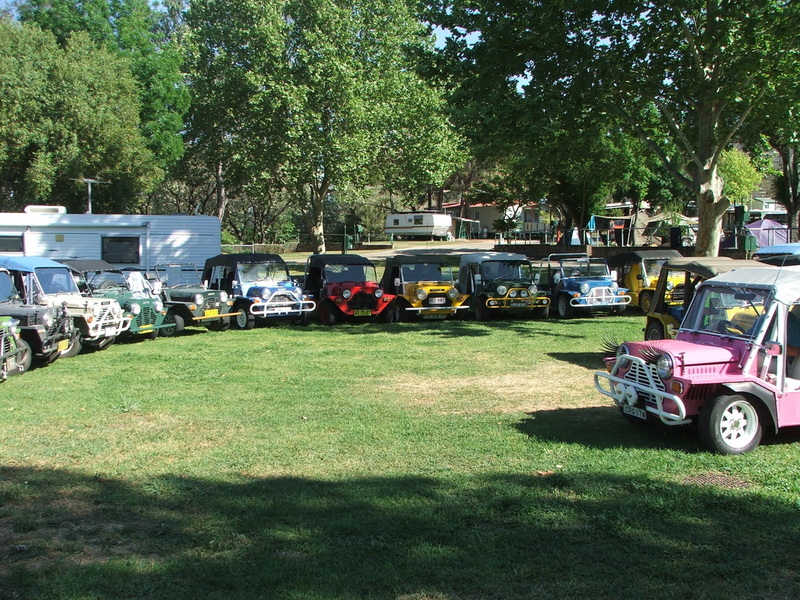 As with past Roundups our base, aka Moke Central, will be Austin Tourist Park in Tamworth. Austin is located at 581 Armidale Road (New England Highway), Tamworth. It's a few kilometres on the Armidale side of Tamworth - Google Maps link is here . 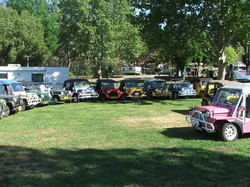 The Austin website can be found at www.austintouristpark.com.au, if you are booking online please mention you are with the Moke Roundup . Alternatively, phone them on 1800 826 967 or (02)6766 2380 - don't forget to tell them you're with the Moke event. They cater well to kids with playgrounds and a pool, but also have cabins tucked away a bit for those who want it quieter. They do have a section that allows dogs within reason - must be kept under control etc. Please note that the dog friendly section is for campers and caravanners only - no provision for dogs if you're staying in the cabins. Check with them before making firm plans. this section of the park is virtually on the edge of the section we have commandeered, so it would be quite convenient for those who like to travel with their dog/s. There is plenty of room for car trailers too, for those who want to tow the Moke. Of course there is no obligation to stay at the park, but we personally think that it's the best way to get the full experience from the event. If you are staying there, you are in the heart of the action with everyone else. All attendees stayed there last time and I don't recall hearing anything but praise for the accommodation. They looked after us extremely well and I wouldn't hesitate to recommend them to anyone. However, if you would really prefer to stay elsewhere, Tamworth is a large country town with many motels, hotels, B&B's etc available to suit all tastes and budgets (so long as you don't want a view overlooking the beach).